PositiveMed is a digital media which helps you to find the most recent and trustworthy information in health and wellness, lifestyle and food in a positive and happy environment. This may help you to find your inner strength and optimal lifestyle, to be a healthier and happier person. 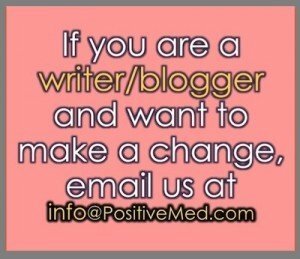 In PositiveMed we want to assure you that you’re not alone and your voice will be heard!